If you are extensively using Siri to dictate emails, text messages etc. on your iPhone 4S then you're probably missing it while typing things on your computer. 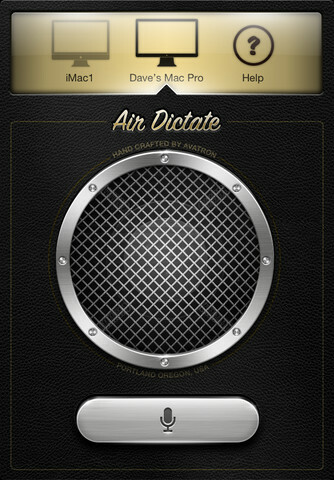 Folks at Avatron who have brought us apps like Air Sharing, which turns your iPhone into a portable drive have just released an app called Air Dictate that will allow you to dictate on your Mac using Siri. Little on the expensive side. I use the iPad to create trip reports. Usually type 1 or two pages in length per site visit. I purchased an Apple BT keyboard and it works ok. I never carry my MacBook Pro anymore as the iPad2 does 95% of what I need on the road.I would like use Air Dictate on the iPhone 4S to dictate to the iPad2. This would save a lot of time recapping my thoughts after meetings and would really complement their offering. Would a receiver app for the iPad be possible?